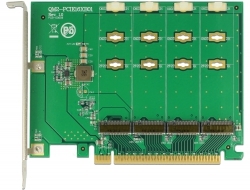 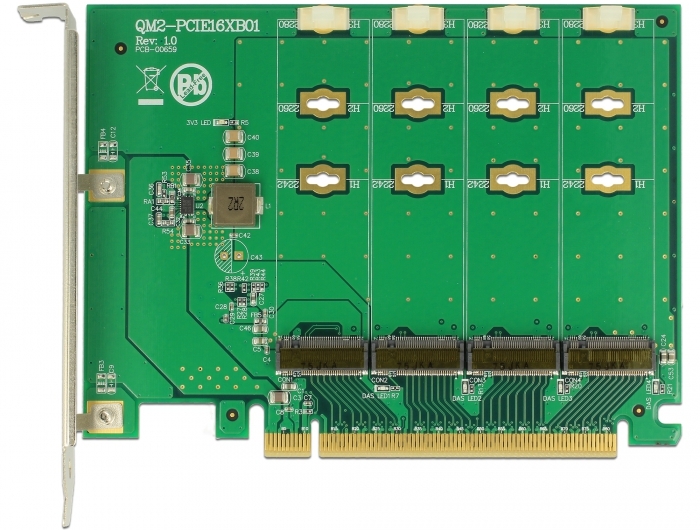 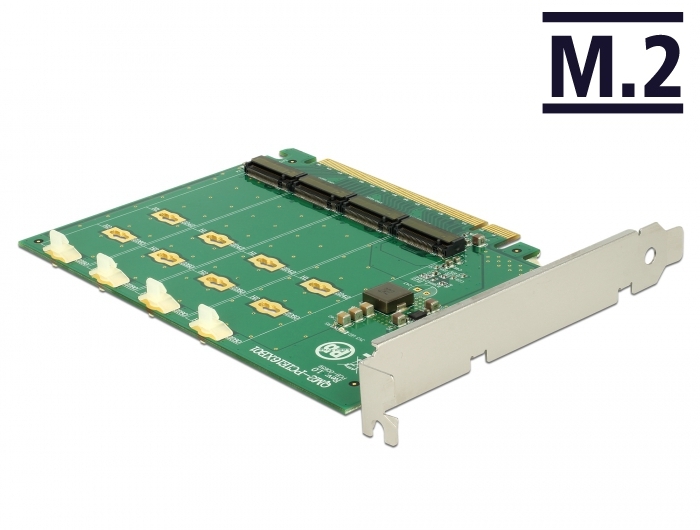 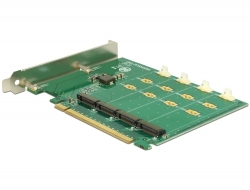 This PCI Express card by Delock expands a PC by four M.2 slots. M.2 SSDs in format 2280, 2260, 2242 and 2230 can be connected. 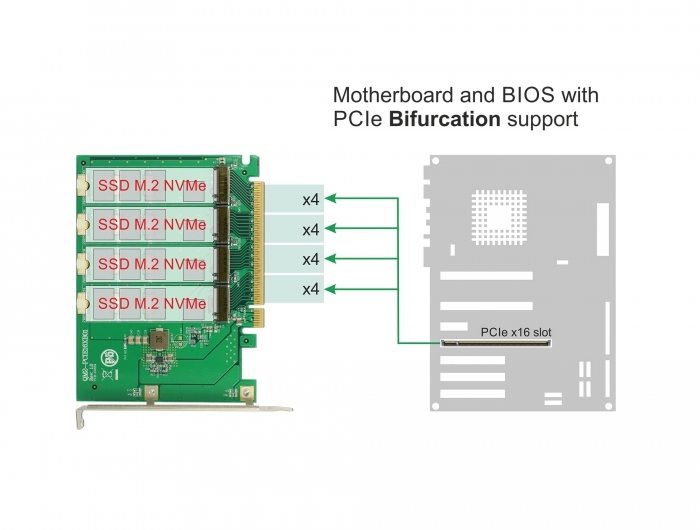 The card requires the PCIe bifurcation of the motherboard to split the PCIe signal in order to use multiple slots with M.2 SSDs. 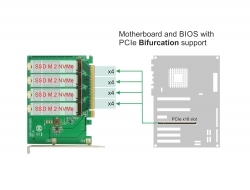 Without PCIe bifurcation just the first M.2 slot of the card can be used.